The 2016 Corolla has a new style of flash and sleekness incorporated into its body. If you're looking for the same car but within a budget, consider a used Corolla. 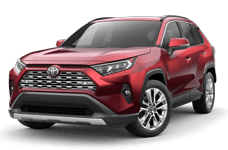 At Toyota of Fort Walton Beach, you can rest assure that their certified used cars pass multiple tests and run as if it were new. Located at 1006 N. Beal PKWY, Fort Walton Beach, FL, Toyota of Fort Walton Beach serves Pensacola, Panama City, Wright, and Navarre, FL. Features include eight airbags, exterior styling, standard LED headlights, aerodynamics, aggressive grille, rear spoiler, 17" alloy wheels, automatic climate control with dust and pollen filter, 6.1 LCD touch screen, AM/FM/ CD player with MP3 playback, six speakers, Bluetooth wireless capabilities, integrated backup camera with projected path, fabric-trimmed 6-way adjustable driver seat, 60/40 spilt fold down rear seat, power windows, power locks, day/night rearview mirror, overhead console with map lights, center console with storage compartment, passenger-side glove compartment box, one 12V auxiliary power outlet, two front / rear cup holders, and a digital clock! At Toyota of Fort Walton Beach, you can count on the technicians to ensure your used car is certified to be amazing. 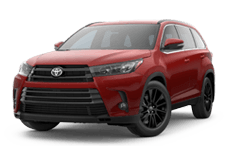 To become certified, cars undergo a 160-Point Inspection, Free Carfax Report, 12-month/12,000-mile comprehensive warranty, 7-year/100,000 mile limited powertrain warranty, 1 year of roadside assistance, warranty honored at over 1,400 Toyota dealers in the U.S. and Canada, and Trouble-free handling of your transaction, including DMV paperwork. Talk about benefits of an amazing dealer! Financial assistance at Toyota of Fort Walton Beach is easy! Simply go online to their website and fill out an application. Applying for a loan does not cost you a thing, you get your automotive credit score, and it doesn't affect your score! A friendly staff will offer you support to ensure that you leave with a used Toyota today! 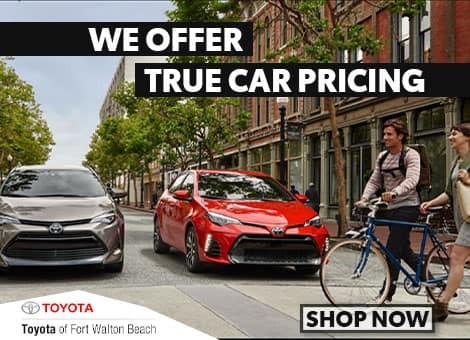 Come to Toyota of Fort Walton Beach for your used Toyota Corolla today! At Toyota of Fort Walton Beach, customers are leave happier than when they came! Let Toyota of Fort Walton Beach show you what true customer service is all about! When you’re looking a stylish and sporty looking Corolla, you’ll love the used Corolla!